Rotisseries, infrared burners and other grill accessories can help you to step up your burger or prime rib game. If you’re ready to enter into completely uncharted territories in your outdoor cooking, consider perfecting the art of homemade pizza. 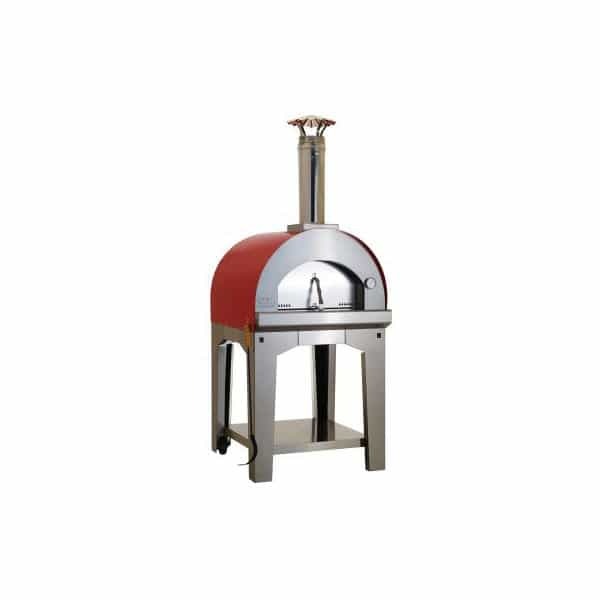 The Large Pizza Oven Cart can help you go from a greasy pizza delivery regular to a healthy pizza maker extraordinaire. The cart stands alone, and is mobile for convenience. It is made entirely of 441-grade stainless steel that is constructed with a solid weld and features a rock-based insulation. The cooking surface is food grade stone for the perfect taste, and the oven runs on fire. The bottom half of the cart may serve as storage for your wood and kindling. Spruce up your outdoor kitchen with the latest by Bull Grills! Dimensions 33.75" D x 30.75" W x 77.2’?